Play-Along Book Series from Hudson Music and Bernhard Lackner – a series of three play-along books, basic, intermediate, and advanced levels – designed for drummers! Each book includes detailed charts and audio files with and without drums. Reference drum tracks are performed by a cast superstar drummers, including Derico Watson, Chester Thompson, Marcus Finnie, Marco Minnemann and Horacio Hernandez! 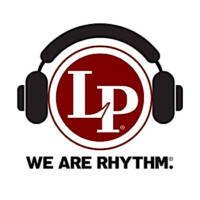 Percussion tracks feature the incomparable Pete Lockett! 1: Start Grooving features basic level tunes. 2: Step it Up features intermediate level. 12 basic level drum play-along tracks, featuring many different styles of music. First book in a series of 3 drum play-along books from author Bernhard Lackner. 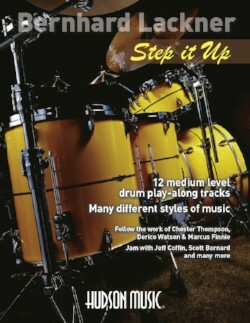 12 intermediate level drum play-along tracks, featuring many different styles of music. second book in a series of 3 drum play-along books from author Bernhard Lackner. 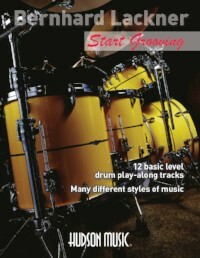 Features 12 charts and tracks, including audio with and without drums. 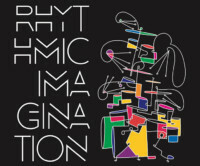 Reference drum tracks performed by Derico Watson, Chester Thompson, and Marcus Finnie.